Design Pools are the leading concrete pool builders in Sydney. We are known for our excellent customer service, high-quality workmanship and unbeatable value for money. Address: 8 PACIFIC ST / BLAKEHURST / 2111 M. 0418 212 993 PHONE / FAX:02 9546 4330 Website: http://designpools.com.au/concrete-pool-builders-sydney. We are the leading mold and odour remediation services provider in New South Wales, Sydney. Our specialization is providing hygeinic services at your convenience.. If you are looking for best pre purchase building inspections Sydney, then your search ends here. BPI Sydney is the leading inspection company in Sydney providing all types of inspection services by its certified and experienced building inspectors Sydney. Contact us @ (02) 8599 7945 and visit us today. Building and Pest Inspections Sydney is providing the best building inspections and Pest Inspection services in Sydney Area. You can also get pool inspection, prepurchase building inspection, strata inspection, thermal imaging from here. Contact our certified and expert building inspector Sydney for your house inspection today. Amarisco provides best mounting & laminating services for photos, artworks, posters, canvases, jerseys & memorabilia in Sydney offering quality framing supplies..
Granitco is a leading marble and granite benchtops contractor in Sydney and its suburbs. If you are looking for a transformation of your home/kitchen bench-tops and splash-backs, bathroom vanities, fireplaces and staircases, get in touch with GranitCo. Call @ 02-9755-9912 now for custom quote..
Are you looking for the best office cleaning service company in Melbourne then, vitezcleaningsolutions would be the right choice. We aim is to ensure our high standards are always maintained and that client satisfaction is guaranteed.For more details visit us at http://vitezcleaningsolutions.com.au. Looking for Double Glazed Windows? We supplies and installs the highest European quality uPVC Double Glazed Windows in Melbourne. Our total quality control at all stages of design, supply and installation makes sure that everything we do is tailored to meet and exceed our customers expectations. To know more info about our services you can click at http://www. 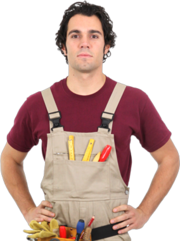 Getdry is an honest service to provide you waterproofing technician. If your Balcony is leaked, then our balcony waterproofing technician will look at your balcony and determine whether it can be fixed without the need to remove the tiles.For more details, please visit http://getdry.com.au/leaking-balconies/. Vitez cleaning solutions The right solution for your business! Looking for reliable and trustworthy professionals provide maintenance services to your company? We deliver convenience and ultimate satisfaction for industrial building and commercial office cleaning, which always adding value to customer satisfactions in Melbourne. Getdry will use the latest technology to repair your leaking shower in Sydney. We can remove sealants from junctions in your shower recess and loose grout from your walls. We can then vacuum away any loose dust or particles. Once all clean and prepared, we apply a barrier seal, which gives your shower lifetime guarantee. At All Glass and Aluminium Fencing we supply and install frameless pool fencing. Servicing the Gold Coast, Brisbane, Sunshine Coast, Tweed Heads and Byron Bay! We use only the highest quality materials and fixings which comply with all Australian standards. To know more info about our services you can click at http://allglassandaluminiumfencing. Want to give your pool side area an authentic look and elegant finish? Contact Design Tiles and incorporate a high-end quality range of inspirational pool tiles, sourced from leading suppliers across the globe, along with in-depth advice on making your premise stylish, at affordable prices. http://designtiles. 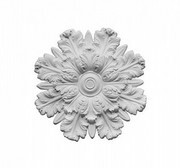 http://www.allplasta.com.au/ceiling-roses Plaster Ceiling Roses – Ceiling roses come in a variety of designs and add a stylish finish to any ceiling. We have over 150 types and styles of ceiling roses..
Do you need custom kitchen designs? Goodyear Kitchens is your best place to fulfill your dream. Our designers are expert in designing custom kitchen for you, featuring the highest quality materials and fittings. Our entire team will work with you from the initial design consultation to the installation of the final cabinet. Want to do finishing of bamboo flooring? Service Central has the services of Bamboo finishing across Australia. For More Details :- https://www.servicecentral.com.au/bamboo-flooring/. Service Central will find you the best and reliable carpet cleaners across Brisbane for your cleaning needs. For More Details :- https://www.servicecentral.com.au/carpet-cleaning/in/brisbane/. 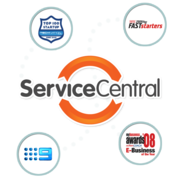 Service Central is the easiest way to find the best certified, licenced handyman for all your jobs need. For More info. Visit :- https://www.servicecentral.com.au/handymen/. Service Central is the best place to find the ducted vaccum systems professonals across Australia. For More Details :- https://www.servicecentral.com.au/ducted-vacuum-systems/. Service Central is the best place to find the modular home extensions for all your housing needs. For More Details :- https://www.servicecentral.com.au/modular-home-extensions/. We Service all suburbs across greater Sydney. IDEAL Air Conditioning Service for FAST Reliable Service and Repairs to ALL Heating and Cooling major brands of: Air Conditioning Systems(Reverse Cycle Ducted Air Conditioning, Reverse Cycle Split Air Conditioning, Reverse Cycle Multi Split Air Conditioning, Room Air Conditioning (windows and walls)), Evaporative Cooling Systems, Ducted Gas Heaters. Hamlyn Terrace Carpenter - view profiles of local Carpenters on Australia’s most visited Trade and Service Website..
Service Central is the easiest way to find the bath caddy, bath mats for your bathroom needs. For More Details :- https://www.servicecentral.com.au/article/easy-diy-bathroom-organizers/. Service Central is the easiest way to find the shop fitters for shop fitting need across Sydney, Brisbane, Melbourne..
Service Central is the easiest way to find the best marquees across Sydney, Melbourne, Brisbane for all your needs. For More Details :- https://www.servicecentral.com.au/marquees/. Service Central is the easiest way to find the best fencing in Sydney and other areas of Australia for fencing needs. For More Details :- https://www.servicecentral.com.au/fencing-and-gates/in/sydney/. Service Central finds floorers specialising in flooring work, All floorers are licenced, insured and certified. 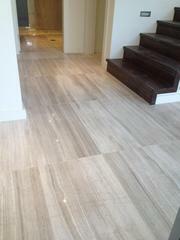 For More Details Visit :- https://www.servicecentral.com.au/bamboo-flooring/. Service Central is the easiest way to find the public relations professionals across Sydney, Brisbane, Melbourne for all your needs. For More Details :- https://www.servicecentral.com.au/public-relations-services/. Home repair services, maintenance services Sydney ads Sydney, Home repair services, maintenance services classifieds Sydney, Home repair services, maintenance services free ads Sydney, ads for sale Sydney, ads to buy Sydney, FREEADSAustralia Page number 10-1. Find here ads for sale, to buy and rent in Sydney. Goods for sale in Sydney, vehicles for sale in Sydney, Sydney real estate for sale, Sydney property for sale, property for rent in Sydney, business ads in Sydney, Sydney business classifieds, services in Sydney, Sydney services ads, jobs in Sydney, pets for sale in Sydney, Sydney dating, Sydney cars for sale.